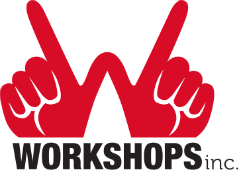 Workshops, Inc. enriches lives by helping people with disabilities and other employment barriers achieve their vocational potential. Every person with a disability in Central Alabama who wants a job gets a job. Workshops, Inc. is oriented toward service excellence, and is dedicated to providing the best service possible to the people we serve and to our business customers. Even as a leader in our field, we know that Workshops, Inc. is a work in progress, and therefore we will continue to strive for improvement in the way we deliver services to our consumers and business customers, in our communication with donors and the community, and in the ways we train and hold accountable our staff. We view the people we serve as people of infinite worth and believe that each person has something valuable to offer to the world. We will treat each person with compassion and respect, and will strive to provide the best individualized service possible to help each person achieve his/her full potential. We are grateful for the many local businesses who choose to partner with Workshops, Inc. to achieve our common goals. We recognize that we could not achieve our mission without the support of these valuable customers, and we will provide each with excellent service, quality work and timely completion. We value a competent and experienced staff from diverse backgrounds, where compassion is a core value. We believe in the value of teamwork and acknowledge that we can accomplish more together than as individuals. Understanding that we live in a dynamic society, we encourage staff to regularly participate in training opportunities and to bring innovation to service delivery. Workshops, Inc. strives to be transparent in all of its business practices, communicating proactively and honestly with our constituents and working within our community to promote philanthropy with integrity. Workshops, Inc. is proud to be accredited by the Standards for Excellence Institute since 2016. In 1900, a group of Birmingham citizens established a workshop for the rehabilitation of people with disabilities, especially those with vision impairments. Initially our clients created products for sale, including broom and mops. In the first half of the 20th century, in addition to making brooms and mops, Workshops, Inc. operated sewing rooms in which pajamas and sheets were made for hospitals and tuberculosis sanitariums. In each of the World Wars, we flourished with government contracts, and from the 1950's through the 1970's, Workshops, Inc. established wood-working, upholstery, and general craft work capabilities. At one point, Workshops, Inc. even had a band – The Alley Cats – who played for President Nixon! In recent decades and today, Workshops, Inc. focuses on training people with disabilities and other barriers to employment in production areas that provide outsourcing solutions for local businesses - including assembly, mailing, fulfillment and handwork solutions. Our goal is for everyone we serve to reach their highest level of employment. Just as our business services have changed over the years, so too has our clientele. While we continue to focus on serving people with disabilities, we also serve people with other barriers to employment. This allows us to serve more people, and also to integrate our workplace to include people of all abilities working side-by-side. Having an integrated workforce and paying all workers equal wages regardless of ability has allowed Workshops, Inc. to become the first internationally accredited Affirmative Business Enterprise in Alabama. 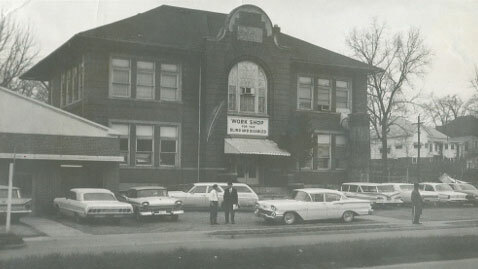 Workshops, Inc. is located in the Avondale neighborhood of Birmingham. Our full legal name is Workshop & Rehabilitation Facilities for the Blind and Disabled, Inc.